Have you ever looked, and I mean really looked, inside your dishwasher? I usually wipe down the edges a couple of times a week and spray the front with some window cleaner to wipe off the fingerprints and hand smudges left from my little ones. Just so you know, I'm not talking about this kind of maintenance. My dishwasher wasn't cleaning anything on the top rack. This is what made me look inside. There is a spray arm connected to the top rack and will spin and spray water to get everything clean. It hasn't been working. So I went online to see what I need to do in order to clean and maintain the dishwasher, thinking there might be something stuck in a hole or something. 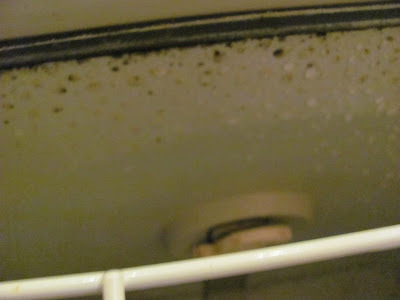 After taking out the bottom rack, I looked up and saw the entire "roof" of the dishwasher covered in mildewy mold. Anyway, so I immediately got my white vinegar and starting cleaning everything in the dishwasher. I don't even want to tell you what the rag looked like, but it was nasty! But now the dishwasher is clean. Thankfully, I found another site that stated there probably wasn't enough water pressure reaching the instrument to make the spray arm move and spray. By the way, did you know you shouldn't put liquid dishwashing detergent in the dishwasher? Apparently the bubbles interfere with water pressure too. Not that I've done that or anything! My husband got home and adjusted the regulator under the house and so far so good. We still can't run the washing machine simultaneously with the dishwasher, but we're not interested in buying a booster pump for $1000. So I'm completely okay with not washing clothes while dishes are going. As long as I don't have dirty dishes coming out of the dishwasher, I'm good! Just a tip for dishwasher cleaning. I have used the small bottle of dishwasher cleaner in the past and they work wonderfully! Forget the brand name but i get it at walmart. very easy way to maintain it. you just poke a hole in the top and run the dishwasher empty with only the bottle of cleaner. Ewwww. When we first bought our house, the old dishwasher looked just like that. Oh no, I went straight to check mine, I have a stainless steel interior and though no mold there is some calcium deposits, so I will try to clean that tomorrow. I try to keep up with the yuck on the dishwasher but have you looked in the dishwasher filter???? I hadn't in the 5 years we had it. Disgusting!! You are not alone! I've been dealing with this problem too and will be looking for that dishwasher cleaner ashlyn mentioned. 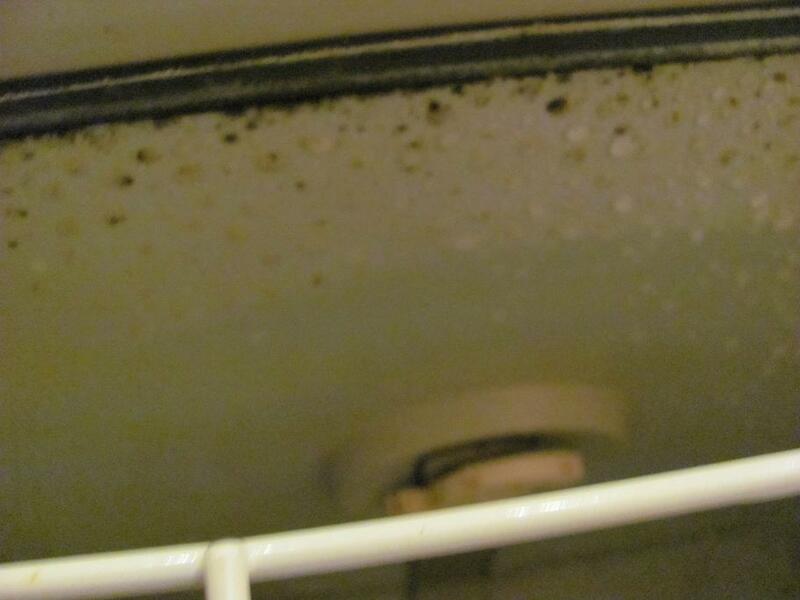 It doesn't seem right, that we should have to clean our dishwashers, they are supposed to be making our lives easier!